Ever wonder how Noah fed that menagerie? Or how he kept Mrs. Noah happy after her garden was destroyed in the flood? With water, water everywhere, Noah had the ideal environment for a bog garden. Natural bog gardens exist in low-lying areas or around ponds, lakes or streams. Bog plants love overly moist soil, even to the point of being waterlogged. But many bog plants do not survive well in standing water. If you have a wet area in your yard, creating a bog garden is a great way to utilize this forgotten space. If you don’t have a naturally wet area, you can still create your own bog. There are five ingredients in a successful bog garden: peat, sand, plastic, water and site selection. The amount of peat and sand and the proportion of each depends on the size and location of your garden. Most professional bog builders prefer a sphagnum peat moss and river or construction sand. The normal proportion of peat to sand is 50-50, but some gardeners use higher proportions of peat. Building a bog is not difficult. Choose a spot with western exposure receiving a minimum of five hours of full sunlight daily. If in a partially shaded area, afternoon shade is preferable. Dig a hole at least two feet deep and any width and length you desire. Bogs that are 18-24 inches deep seem to perform the best and need less water. Line the hole with a sheet of pond liner (or you can use a child’s plastic pool, prefabricated pond container or concrete mixing tub). Press the liner down so it contours with the hole. Leave at least 12 inches of liner exposed to accommodate for settling. The edges can later be covered with mulch or small stones. You will need to punch holes in the liner for drainage. Holes can be punched either in the bottom or on the sides nearer to the ground surface. Fill the hole with the peat and sand mixture, compost and native soil, and water well. Allow your area to settle for a week, keeping it wet. You are now ready to plant. Bog gardens are not maintenance free. They can become weedy and can be easily overrun by seeding annuals and perennials. Bogs don’t have to remain soggy and overwatering can be a major problem. Shallow bogs and those with artificial drainage require more water than deeper bogs without drain holes. Most artificial bogs need to be rebuilt every four to five years to prevent nutrient buildup. If you have limited space, try a container bog garden. Whiskey barrels, kiddie pools or any shallow, wide container works well. Fill your container one-third with gravel and add your peat-sand mixture. Before adding plants, let your container stand for a week, keeping it well watered. Place the container in a site with five hours of full sun. No matter if your bog is natural, in-ground or container, the same plants can be used. Here are a few of my favorites: irises, Crinum americanum (southern swamp crinum); Hibiscus grandiflorus (swamp hibiscus, velvet mallow); illicium (“Florida Sunshine”); Zephyranthes rosea (rain lilies); Helianthus angustifolius (swamp sunflower); and Salvia uliginosa (bog sage). Please note both swamp sunflowers and bog sage are vociferous multipliers and can take over your area. 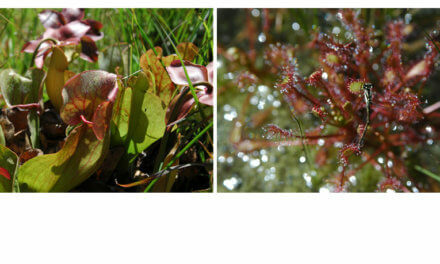 Carnivorous plants thrive in bog gardens. Add some pitcher plants, butterworts, sundews and threadews for color and texture when flowers are not in bloom. 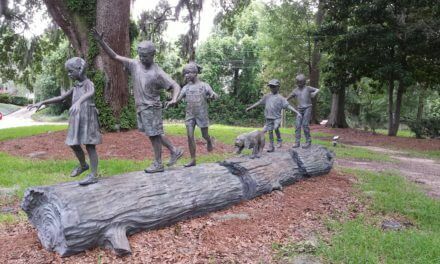 Visit the Splinter Hill Bog in Baldwin County to experience a true natural treasure in our own backyard. Much of the site is covered by impressive white-topped pitcher plants. Dock that ark, wade to the shore, and start your bog. When: Thursday, May 2, 10-11:45 a.m. When: Tuesday, May 14, 1-3 p.m. 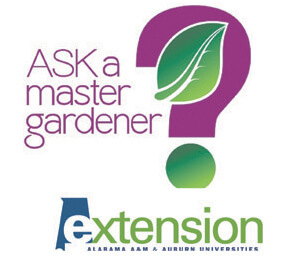 When: Monday, May 20, noon to 1 p.m.
Topic: To be announced, info on enhancing your landscape. When: Thursday, May 23, 1-3 p.m.